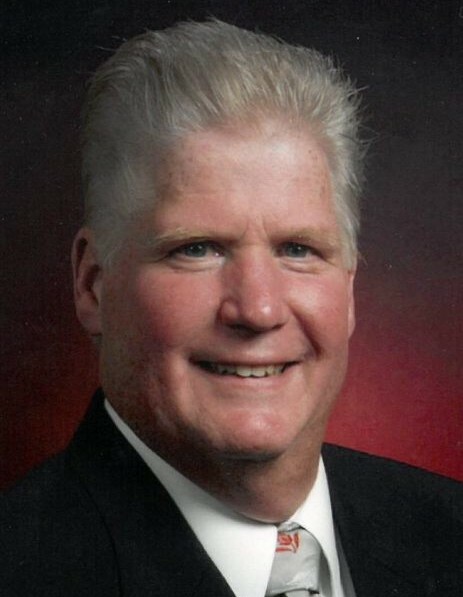 Gary J. Dercks, age 67, of Kaukauna, passed away peacefully yet unexpectedly on Friday, April 6, 2018. He was born on December 24, 1950, son of the late Paul and Anna (Winius) Dercks. Gary was a dedicated and loyal member of both St. John Nepomucene Catholic Church and the Knights of Columbus Council 10919 in Little Chute. He volunteered at countless events and especially liked helping at the Souper Saturdays at church. Gary enjoyed cooking for friends and going out for Friday night fish fries. He also loved to play cards, especially sheepshead. Gary is survived by his guardians and caretakers: cousins, Lori (Jeff) Evers and Karen (Andy) Sanders; brother-in-law, Jerry Cummings; Godson, Al Cummings; nieces, nephews, aunts, uncles, cousins and many friends. Gary was preceded in death by his parents, Paul and Anna; and a half sister, Joan Cummings. Memorial services will be held at 5:30 p.m. on Thursday, April 12, 2018, at St. John Nepomucene Catholic Church, 323 S. Pine Street, Little Chute, with Msgr. Jim Vanden Hogen officiating. Visitation will be at the church on Thursday from 4:00 p.m. until the time of the Mass. Interment will be in St. John Cemetery. For online condolences, please visit www.verkuilenfh.com. Gary’s family would like to extend a special thank you to his friends at Golden Ventures for always looking out for him. Also to his many friends through the Knights of Columbus. Gary was very fortunate to have you in his life.